When I was in grade 1 (approx. 28 years ago), I have a fond memory of my dad coming in to help in the classroom near the end of term 4. 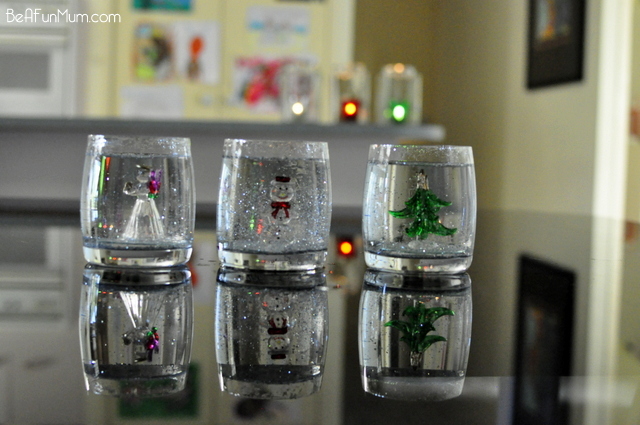 The classroom was set up with a rotation of different Christmas craft activities and I remember dad being stationed at the table where we had to make a Santa out of an apple and marshmallows. I was more chuffed that my dad was in my classroom, than making an edible Santa (although the marshmallows were delicious!). 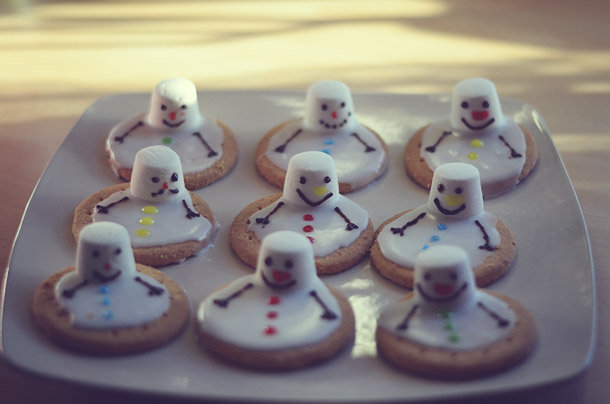 But that memory has always stuck with me and each Christmas I like to make some sort of edible craft at Christmas. It builds memories and traditions with my kids. For example, my Chocolate Nativity Scene was an idea I had a few years ago, that has now become craft tradition for our family and for others. 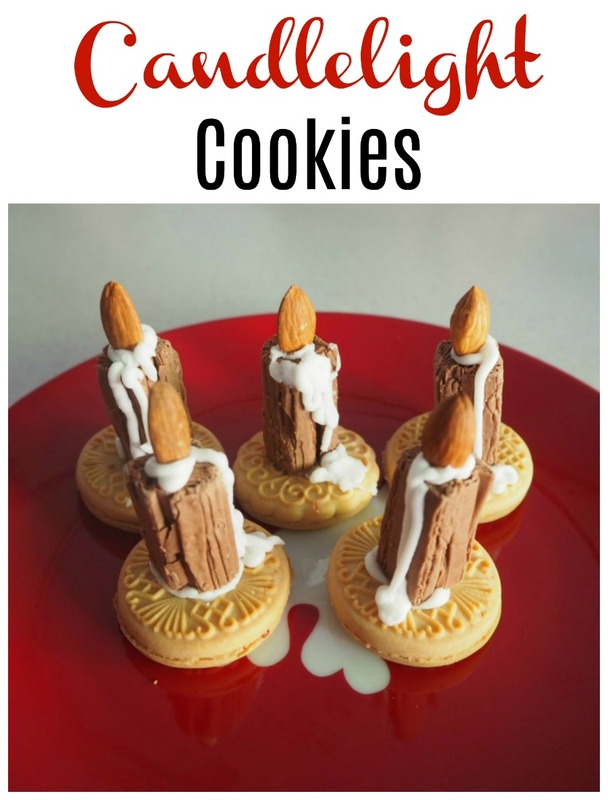 I enjoy getting creative with sweet food at Christmas, and I’m excited to share with you these Christmas Candlelight Cookies. You could make these cookies all year round, but they are fitting for Christmas. 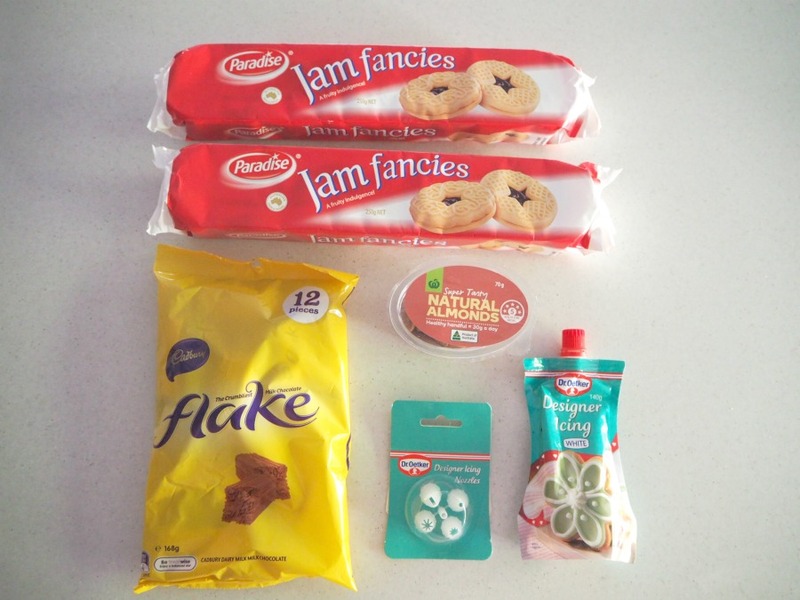 The most important aspect when preparing these biscuits is ensuring those who make the biscuits and those that come into contact, don’t have a peanut allergy. 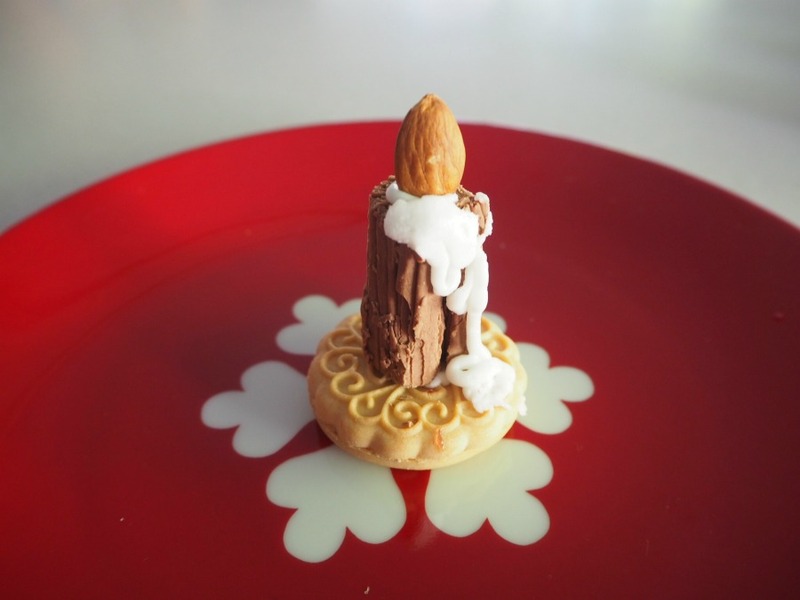 The almond acts as the flame. It’s the perfect shape for the biscuit. Alternatively, a tear shaped lolly would suit. 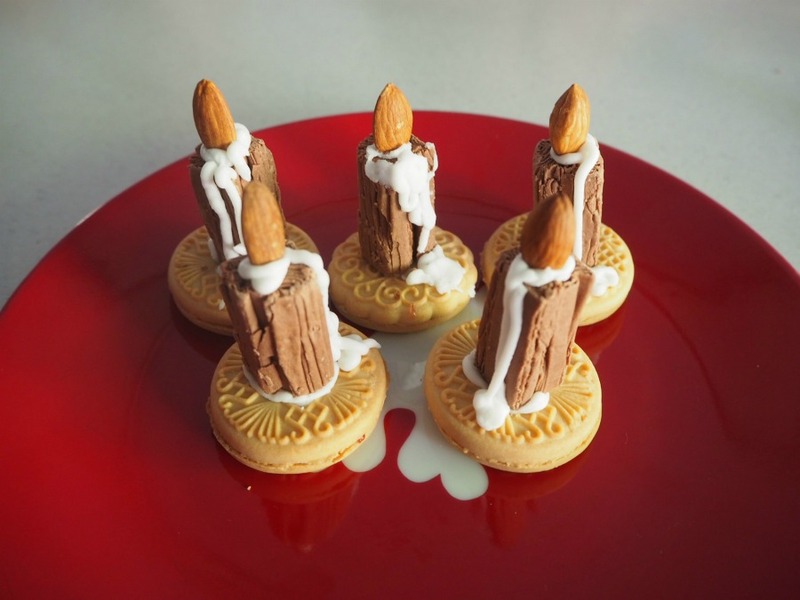 There aren’t many ingredients needed to create these Christmas Candlelight Cookies. 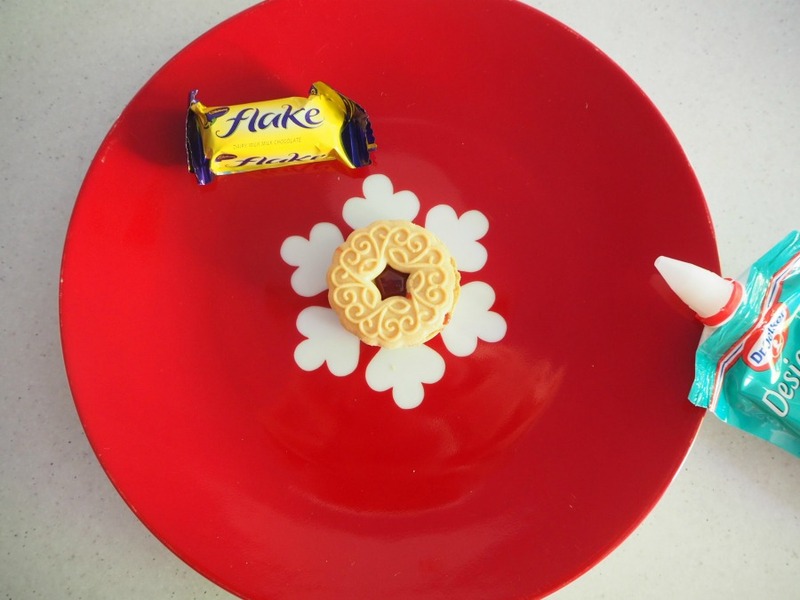 The Paradise Jam Fancies from Woolworths have a gorgeous pattern on the biscuit that makes the perfect base for the Flake ‘candle’ to sit on. 1. Squeeze icing into the middle of the biscuit. 2. 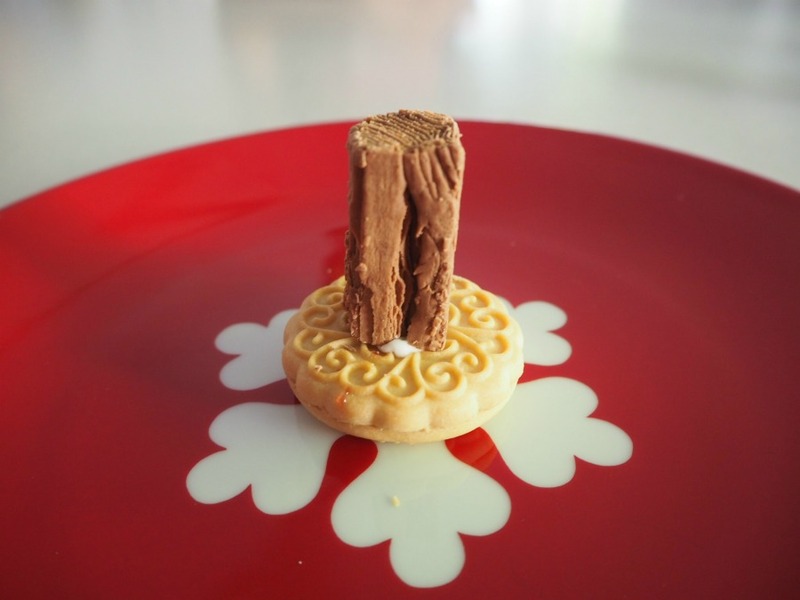 Add the Flake and drizzle icing on top of the Flake and down the sides and onto the biscuit to imitate wax. 3. Add the almond on top. 4. 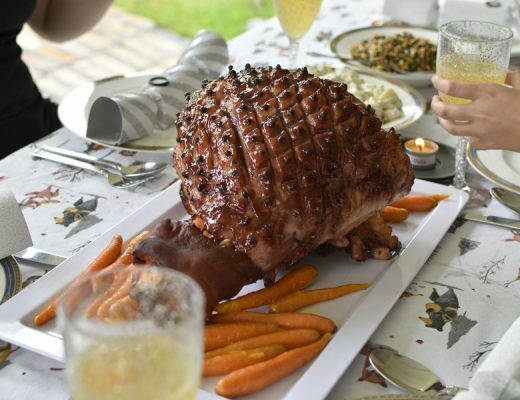 Place in the fridge to set, and then serve. 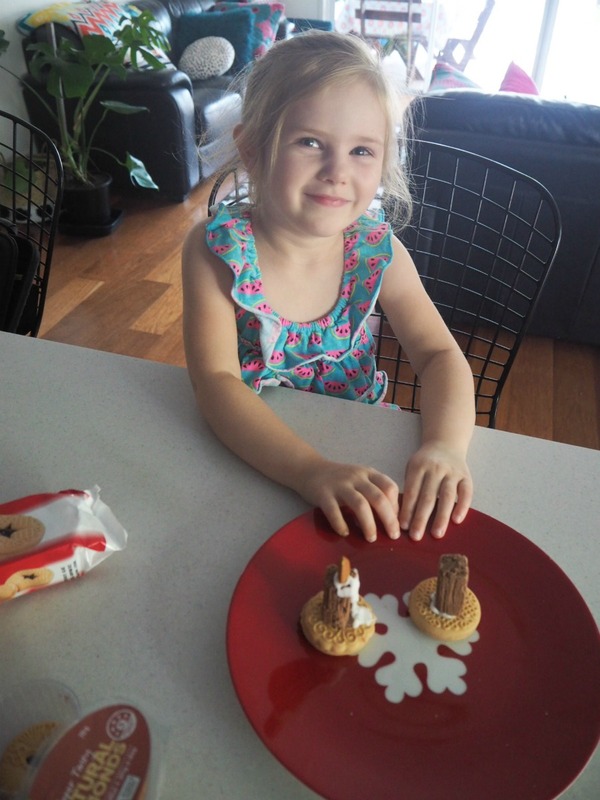 These biscuits are an ideal food craft idea for Christmas. My four year old LOVED putting them together. Hello, these look good and by chance my twins have become obsessed with Jammie Dodgets, a similar biscuit from the UK which we can get at our local Woollies. These would work well for Halloweeen too, I think.